Ugh, old-school Nickelodeon how we miss you. The Amanda Show was one of the great Nickelodeon shows churned out in the ’90s and early ’00s. It was freaking hilarious, starred Amanda Bynes and helped us fall in love with both Drake Bell and Josh Peck before they were TV brothers on Drake and Josh. The wild part is, there were a lot of other stars on the series that you might’ve totally forgotten about. The days of Polly Pockets, Tang and Tamagotchis were also the good ole days on Nickelodeon (or nick, nick, nick, nick nick… Nickelodeon) and The Amanda Show was definitely one of the better series because of its comedy style and its young Saturday Night Live vibes. The best part were the guest stars that you might’ve missed the first time you watched. Yes, the Disney Channel darling was actually on Nickelodeon before she won our hearts as the mean girl in High School Musical. In fact, Tisdale was on three episodes of The Amanda Show as a Cold-Curer in the audience, who would ask questions and interact with Bynes on occasion. She also played Daphne, Amanda Bynes’ number one fan! Appleby is a big name now, currently starring on UnReal. Before her breakout role on Roswell really took off, the actress played a nerd on two episodes of the Nick comedy. Yes, she rocked short, curly locks and big glasses and we love it. 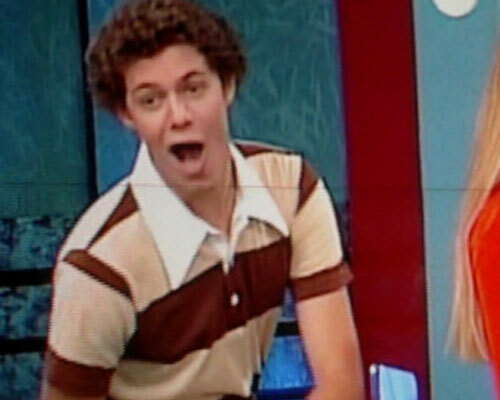 Before Brody was making everyone fall in love with him as Seth Cohen on The O.C., he was actually attacking people as a part of the Brady bunch. No he wasn’t on the ’60s series, The Brady Bunch, but he did play Greg Brady on the episode “When Bradys Attack” of the Nickelodeon series. He sang and danced and attacked random people with the rest of the Brady kids. It was awesome. Although her sister Hilary Duff is the bigger actress, Haylie was definitely on her fair share of TV shows and starred in some movies before focusing on her cooking career. In fact, she was a “girl in crowd” in the 1999 episode, “Talent Contest,” of the comedy show. Wow, how ’90s is Duff’s funky top?! Another High School Musical alum was a Nick kid first! 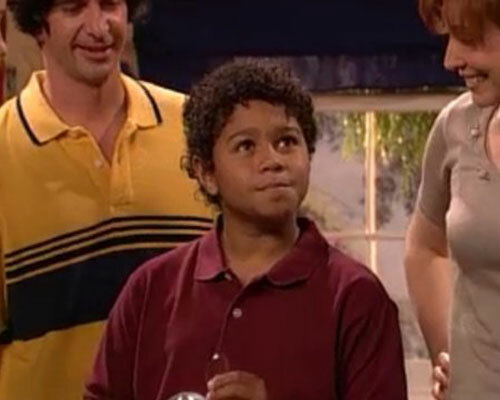 Bleu played Russell on The Amanda Show, who was a kid that wasn’t allowed to watch the show because of his parents. Luckily, the cast came and performed in his bedroom and he was very happy. The Today show host has guest starred on a lot of series over the years, but you probably forgot about her funny moment on this show. Gifford played Princess Whiff, a ventriloquist, in a 2001 episode and yes we are still loving her princess costume all these years later. 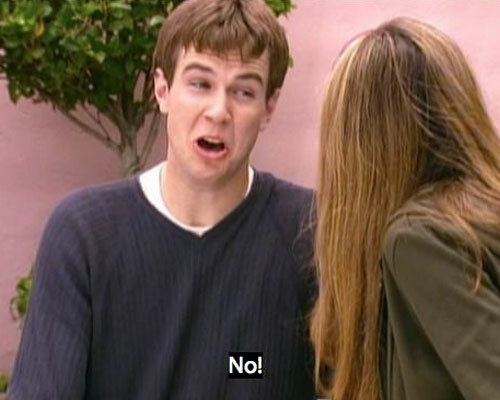 The Saturday Night Live actor has always had great comedic timing, but we still managed to forget about his hilarious and iconic role on The Amanda Show all those years ago. Killam played the hottie, Spaulding on the recurring sketch Moody’s Point on the series. The sketch was a parody of Dawson’s Creek and other teen soap opera-style series. He was obviously both charming and funny. Yep, the Marcia Brady was once on the Nick show and she was pretty funny. 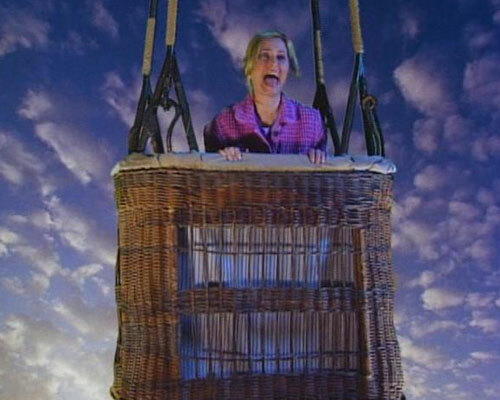 McCormick, who is best known for her role on The Brady Bunch, wasn’t a part of the “When Bradys Attack” episode like Brody, instead she appeared on a Season 2 episode where she was trapped in a hot air balloon. Remember Even Stevens’ Alan Twitty? Well, Trauth played Louis Stevens’ BFF on the Disney Channel series after he rocked popcorn pants on The Amanda Show. Yes, Trauth was in the “Popper Pants” skit, which featured pants that actually cooked popcorn in them. It was outrageous and kind of genius. He is the guy in the red shirt in the video below. Thompson was a BIG deal on Nickelodeon, starring on All That and Kenan & Kel, so obviously he had to make an appearance on his friend Bynes’s series. 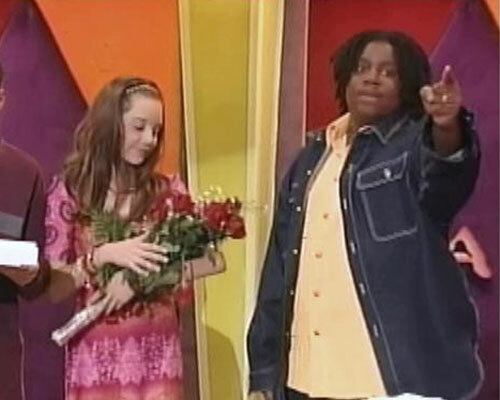 He brought her flowers on the episode he was on in 1999 and he played himself. His TV co-star Kel Mitchell was also on an episode as himself. If you are a die-hard Amanda Show fan, then this blast from the past will definitely get you into the mood to watch reruns of the show. Luckily, Nickelodeon has announced that the ’90s show will be re-airing beginning June 10 as a part of the Splat (a programming block on TeenNick) roster, so mark those calendars!